Gov. Tom Wolf's administration made the announcement Thursday. 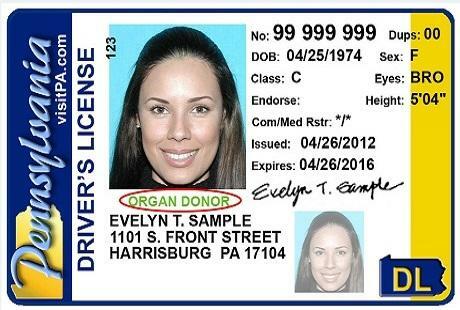 The extension for compliance with the Real ID law means that, for now, Pennsylvania licenses will be sufficient proof of identification to get into federal facilities. A state legislative fix could be needed to avoid more widespread problems for travelers next year, when Real ID standards will be required for people boarding commercial airlines. The state's new deadline is June 6. A 2012 state law is keeping Pennsylvania from meeting the federal law's requirements. Pennsylvanians who fly can still use their state-issued driver’s license to board a commercial flight—for the next two years. The Department of Homeland Security this month revised its schedule for enforcing the REAL I-D Act of 2005, a security measure Congress passed on the recommendation of the 9/11 Commission. “At this point, there’s no impact on Pennsylvania citizens. They can continue to use a Pennsylvania driver’s license to board commercial aircraft,” said PennDOT spokesman Rich Kirkpatrick. PennDOT and the state Departments of Aging and Insurance are reminding older drivers to evaluate their driving abilities as part of "Older Driver Safety Awareness Week." According to the Insurance Institute for Highway Safety, drivers age 85 and older are nearly twice as likely to crash compared to drivers between the ages of 16 and 19.